What’s that coming over the hill? It may not be a Monster but it sure as hell carries some bite! The new Halo+ from Concave recently landed at FOOTY.COM HQ and immediately turned heads. With it’s steely black outlook and bold yet organic design, the Halo+ is worth taking a closer look. From the outset you can see the Halo+ has a no nonsense approach, and for many people this is a refreshing change. 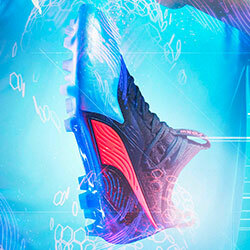 No radiating-lightning-galactic marketing spin here - just a bold boot that hopes to do it’s talking on the pitch. The Halo+ comes with the tag ‘We Dominate’. 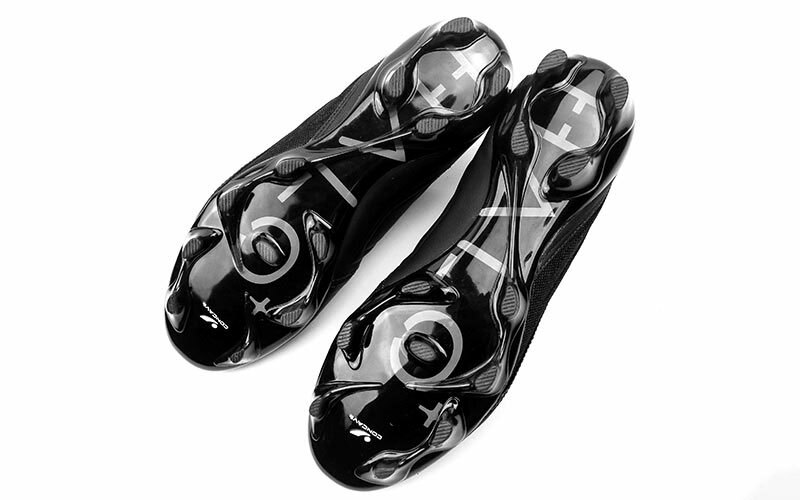 As you might expect from such a cutting statement, the boot is designed for players who are looking to control the game. String-pullers and midfield generals listen up! We’ll get to the tech in a minute, but first let’s just bask in the Halo’s understated look. A solid black base colour with white trim, gives this design that much sought-after timeless quality. However, what it lacks in loud and garish colours, it more than makes up for with it’s razor like edges and subtle yet thumping details. 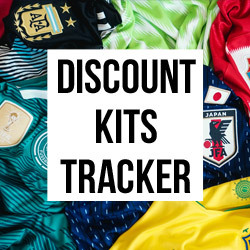 With the type of nuances not seen since the adidas Predator - the Halo is offering up a solution for those players who still want their boots to pack a punch. 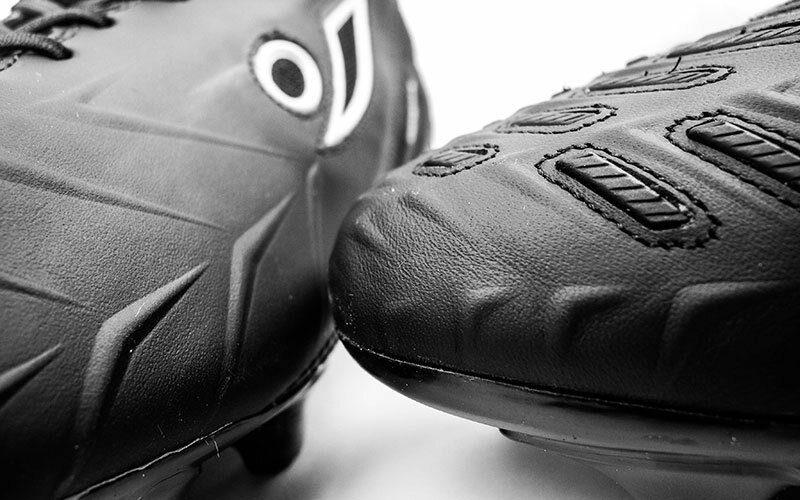 If you’re impressed with what this boot offers on top, then the soleplate will only add to that positivity. The shape and frame of the soleplate is sleek and streamlined. 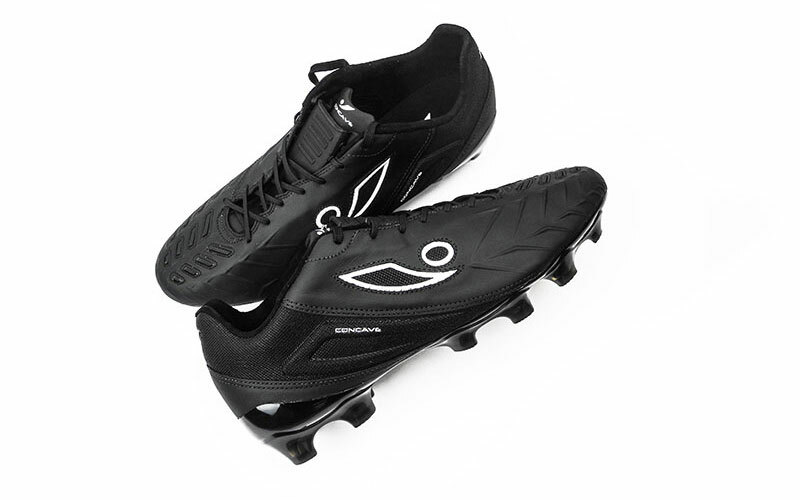 Despite the traditional look of the boots overall, the soleplate adds a real next-generation quality - providing the Halo+ with a supercar style finish. 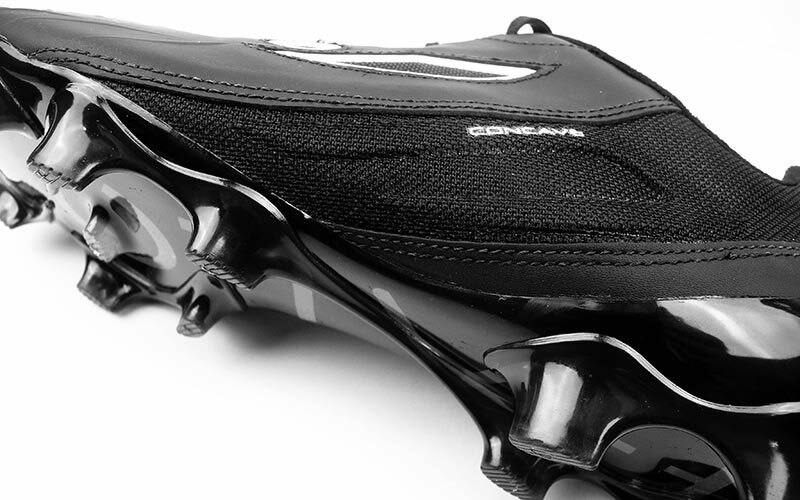 Concave have really put the ‘tech’ into technical player. Constructed with ‘laser guided accuracy’ in mind, the Halo+ offers players the chance to control and dictate play with a host of complementary features. 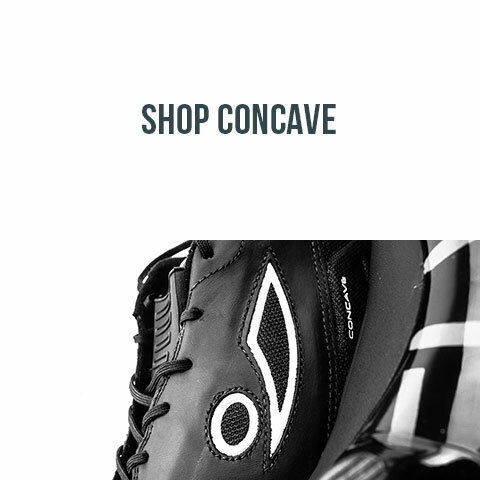 First up is Concave’s signature concept - the strike zone. This element (seen below) gives players a considerably larger surface area with which to connect with the football; promoting increased ball control, velocity and power. A subtle addition to help spray the ball, and smash those half-volleys goal-wards with added venom. Seamless and smooth use of technology. 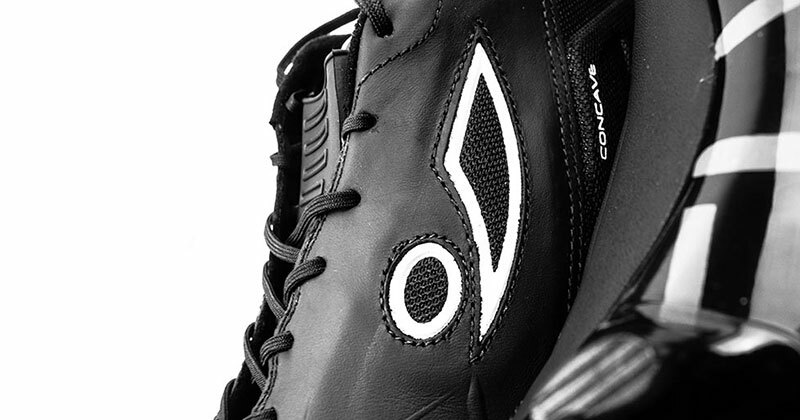 In addition to this powerful Concave USP, the Halo+ also benefits from a textured premium leather upper. The details at the forefront of the boot create grip and power, while the breathable mesh angled across the middle of the boot allows greater comfort and agility. 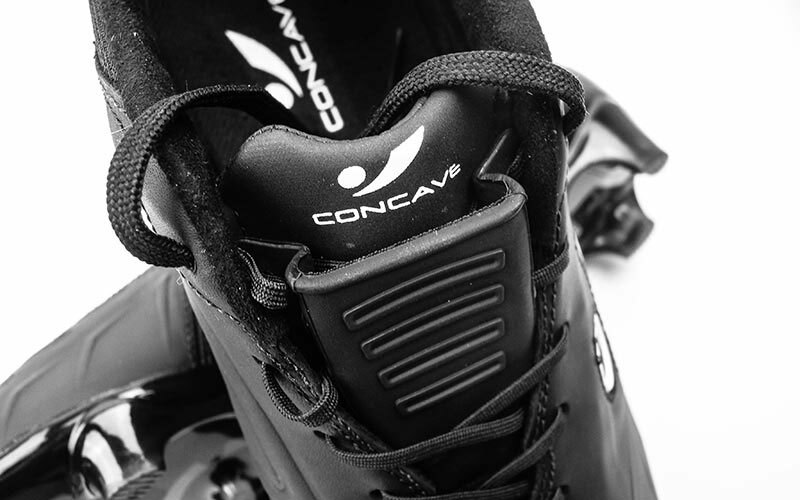 Concave’s ‘Football Form Fit’ (F3) dual-lacing system promotes a supportive custom fit - ideal for all foot shapes. Furthermore, the EVA sockliner provides shock absorption, extra cushioning and energy return to aid propulsion. Are we done yet? Not quite! The droplet shaped studs and TPU injection outsole on the soleplate (FG) help to establish firm footing and stability; confidence with every step. Finally, how do they play? At FOOTY.COM we have been fortunate enough to give the Halo+ a good run out on more than one occasion - and our first impressions were very positive overall. 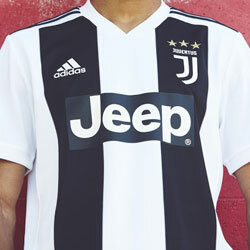 As we’ve already discussed, the traditional black colourway means you’re not stepping onto the pitch with any pre-conceived judgements - diminishing your chances of being targeted for looking too ‘flashy’. Always a bonus! As a somewhat defensively minded player, the Concave ‘Strike Zone’ is perhaps a little wasted on me. I did hit one shot that was arrowing towards the top corner. Just as I was about to wheel away, the outstretched arm of the keeper tipped it around the post. Typical! Though it’s fundamental purpose is for shooting and drilling passes, the ‘Strike Zone’ also helps cushion your first touch - especially on those looping balls you have to kill out of the sky. This is a help no matter what position you play in. 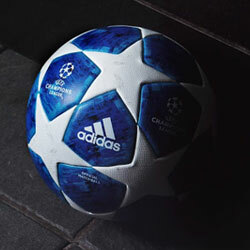 Furthermore, the Predator-like rubber fins help to create a degree of traction and grip with the football, both when dribbling and when playing a range of passing. 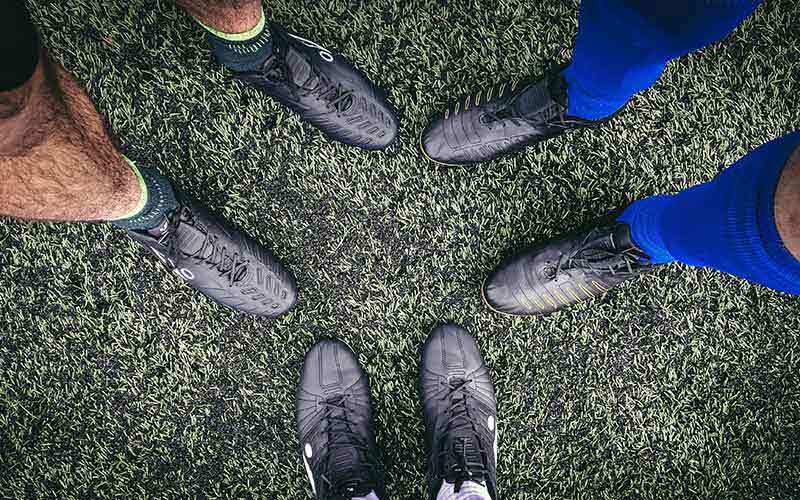 Despite playing with a FG soleplate on an artificial 4G pitch, there were no issues around traction or comfort. One of the biggest issues with any new pair of football boots is the breaking in period. 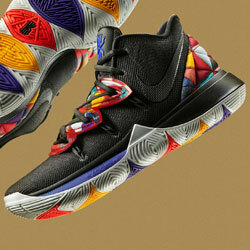 Will they give you blisters during the first couple of games? Thankfully, the Halo+ didn’t cause any problems - and this was tested by more than one person. A good advert for Concave’s F3 dual-lacing system? Most definitely.